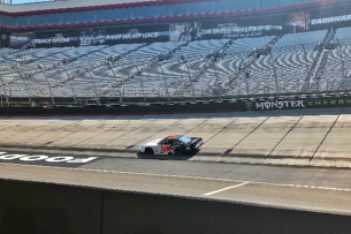 BRISTOL, Tenn. (May 12, 2018) – The Gunslinger is still fast on the gas. 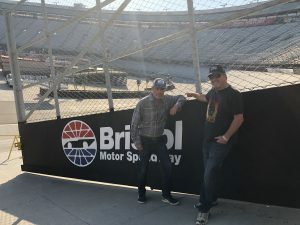 Former NASCAR truck series champion and Cup regular Mike “The Gunslinger” Skinner authored the big story Saturday at Bristol Motor Speedway during open testing for the Rusty Wallace Automotive Group Short Track U.S. Nationals. The Nationals, which will be held May 18-20, feature some of the nation’s best short track racers competing in the Super Late Model, Pro Late Model, Late Model Stock, Modified, Street Stock and Compact classes. 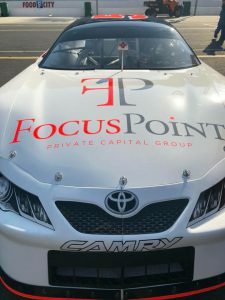 With the mechanical and motivational support of his sons Jamie and Dustin, Skinner set the pace in his Toyota during both of the Pro Late Model practices. Skinner posted a lap of 15.125 seconds at 126.86 mph in the first session, then bettered that effort with a time of 15.106 at 127.022 in the second practice session.